I’m all about negotiating fee removals. Let me share my most recent example of a fee removal. 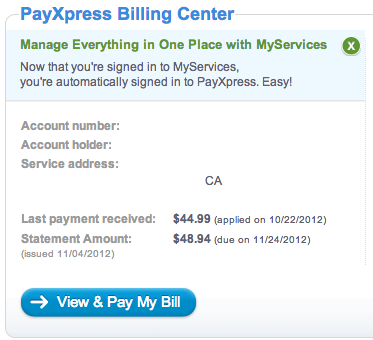 When I checked my most recent Time Warner Cable Internet bill, I saw a small surprise. My bill is always set to auto pay by an amount of $44.99. Suddenly this month’s bill came out to be $48.94, a $3.95 rate increase. I had to dig through the confusing bill to find out that this $3.95 fee was due to a new “modem lease fee” that I never was charged before. I knew I had to take action. Sure, $3.95 isn’t a lot of money. I’m sure 99% of people who also received this same rate increase probably just shrugged their shoulders and paid their bill without question. They’re okay with throwing money away. Not me. I prefer to spend my money on things that bring value to me. I found this fee increase offensive, especially because I received no prior warning about it. It seemed like my cable company just decided to sneak this fee onto my bill. (It was probably put in the fine print somewhere about how I would get this charge after having my service for 2 years). Either way, I was unhappy and so I picked up the phone and called Time Warner Customer service. ME: Hello, I have been a happy customer of Time Warner Cable for over 2 years and I want to know why my most recent bill has been more expensive than before. REP: Thank you for being a valued customer, let me check on your account. Okay I see, this new rate increase is for a modem lease fee. You were previously on a promotional rate that just expired. ME: I would like to have this monthly fee removed and go back to my previous bill payment. REP: Let me see what I can do. I’m sorry I can’t lower your fee at this time. Promotional rates are only for new customers. You can feel free to purchase your own modem and won’t have to pay the modem fee. ME: Okay thank you. In that case, I would like to cancel my account and have my wife open a new account. REP: That sounds very inconvenient. Is this rate increase the only reason you want to cancel your account? ME: Yes, I’d rather not pay more than how much I’ve already been paying. REP: Let me see what I can do. <short pause> Okay I found a special promotion that I can apply to your account for the next 12 months. Your new special rate for being a valued customer is $34.99 with a modem fee of $3.95 for a new total of $38.94. This will be effective immediately. We value you as a customer. Is there anything else I can help you with? ME: Thank you very much for your help! Can you please provide me with your customer service identification number? That’s it. The phone call only took me about 5 minutes, and I’ll save around $10 a month. Next chance I get, I’ll buy a cable modem and get another $3.95 off my bill. Whenever you call to negotiate a bill or fee, make sure you document the name of the customer service rep that helped you, as well as the details of your new promotional offer. This was just a small example of removing a small fee. Be sure to apply this to every bill possible and the savings will add up over time.